Intellectual property lawyer specializes in intellectual property law. This law involved governs designs, artwork, and inventions and seeks to protects them from being copied/plagiarized. So our task is to bring to fore everything you need to know to hire intellectual property lawyers or become one yourself. The laws specifically give people inducements to improve their creative works and at the same time encourages the chances to gain profit from such a process. Conducting due diligence of intellectual property assets and lots more. Intellectual Property lawyers usually represent their clients in the federal as well as in the state courts as and when required. They will also take up matters with the Patent and Trademark Office and even with the international trade commission. It is the job of the intellectual property lawyers to give their clients new ideas to improve and increase their portfolios. Apart from that, they may also enlighten their clients regarding the rules and regulations to follow for any additional protection required to guard their intellectual property. 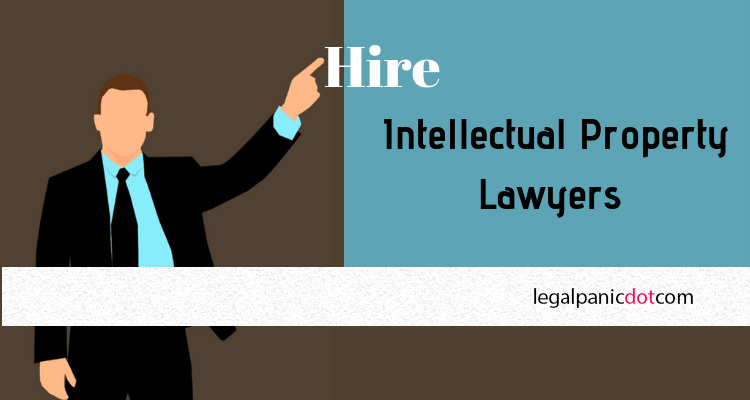 In addition to the above, if you need you can also hire an intellectual property lawyer for the required help to file an application for a trademark or patent for your business, defend the existing patent or trademark, draft a licensing contract and also to present your case before the patent examiner or board. Ideally, the intellectual property lawyers must have more than a law degree in their possession. Good and successful lawyers will have engineering, scientific and technology-related degrees that will make them easy to understand the intellectual property design and function even better. This shows that the area of practice and extent of the knowledge of any good intellectual property lawyer is vast, varied and complex. The Law firms in India that are reputed and recognized for intellectual property protection and practice have a thorough understanding of the different sections of the law. Each different section is equally complicated and thorough and requires a fair amount of expertise to excel and succeed in practice. Trademark Law – This is a specific segment of intellectual property law that protects the symbols and logos of a business. This law also involves the phrases used to differentiate one similar product from another. If the trademark is protected, then this law allows the trademark holder to go to court and acquire an injunction so that further use of the trademark is prevented. Copyright Law – This is the law that protects writers and photographers, artists and musicians and all other creators of expressions. The law protects their work from being copied or used. There is a peculiar nature of copyright law which is very important to know and understand. This is strikingly different from trademark legislation. This law protects the content of the work but does not protect the title of that specific work itself. Usually, copyright will last for the entire lifetime of the creator of the work plus 70 years after that. Patent Law –This law protects the inventor of a product by giving them every right to sell or use their inventions. Patent law can protect a different aspect of the invention that includes the functional features, the machine or the manufactured item, composition of matter, asexually reproduced plant and all those things that are novel and non-obvious. There are usually three kinds of patents issued such as plant patents for specific types of plants, design patents for the ornamental characteristic of any device and utility patents for useful inventions. Trade Secret Law – This is the law that is very useful for all businesses to protect their valuable business information and data that are advantageous to the company. However, to be considered as trade secret all data and information must be unique. This means that a trade secret is that which is unknown to others in a similar industry. When a company obtains trade secret protection rights from the court, then the secret is protected from the competitors, spies, employees, and from anyone else who may disclose the protected information. Licensing Law – This is the law that provides the business owner with a document that states that the holder of the license has the legal right and expertise to do, to use or to own something. Typically a license will give the holder the right to display the work, bred something that may be protected otherwise, distribute copies of their work via sale, rental or lease and even organize by-product works from the original work using its protected expression. Unfair Competition – This refers to fraudulent and dishonest acts or practices. According to intellectual property law, this law prevents any practice of designing, manufacturing or substituting a product of another person or brand in the market in order to deceive the general public. The Intellectual Property Lawyers in India can use the law when there is a trademark infringement, false advertising, unauthorized substitution, and misappropriation of trade secrets, false representation of any product or services, trade defamation and lots more. Amy Jones is an employment law consultant with Ahlawat & Associates, which is a company that provides startup legal services.